This is our "local", we come here often for a two day getaway. The Orchard Hill campground is very compact, but surprisingly quiet. Sites are not large but most will accommodate a 24 ft RV and some a bit more. Stays full in the summer, many young families with kids on bikes, so expect that kind of noise. Tall redwoods and fir throughout the campground limit the sun's penetration, making it a great place cool off in summer but chilly in winter. The trees also soak up much of the road noise and provide their own chorus in a breeze. There is a flat trail/bike path along the old creek side railway right of way and more challenging trails, both short and long, among the hills on both sides of the valley. The strict 2:00pm check-in policy is a bit annoying, but mainly to those of us who remember the more casual days a few years back. Just don't get here before 2:00. We camped at Samuel P. Taylor State Park in a Motorhome. Small grocery in Lagunitas is worth a stop but parking is a bit difficult. This is a small RV park established by the city of Lynch. It is off the highway but on the road entering the town, so there is some traffic noise. There is a very good grocery story in town, one gas pump and a small theater. The BTR diner is just a block away on the highway. Very friendly town. Nice for an overnight stop along the Outlaw Trail or as a base to explore the Niobrara country. We camped at Lynch RV Park in a Motorhome. If you enter the Park from the south, it is quite a long, but beautiful, drive to the campground. Some steep hills but all good paved roads. We stayed in the electric only area on a Friday night. All sites were full but we didn't feel crowded. Good showers not far away and nice walking trails down to and along the lake. 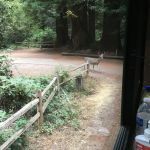 We camped at Cuivre River State Park in a Motorhome. Very nice but not spacious campground. Canyon is narrow at this point so the road is close. Only the loops on the west side of the road were open. Campground is run by a concessionaire (Recreation Resource Management), they seem to have split the campground between reservable (south) and non-reservable (north) and if you don't have a reservation they do not offer any of the reservable sites, some of the best, even if they are available. Short, steep trail starts on the east side of the road, otherwise everything is a drive. We camped at Pine Flat Campground in a Motorhome. Previous reviewer is right, this is not a place for big 5th wheels or Class A's, but our 22 ft Class A Winnebago had room to spare (why did the quit making these little jewels?). We were in site #30 looking out over the river. Price was discounted from $20 due to drought water restrictions. Nice hiking along the river and up to the lake. Though it is within the Eldorado National Forest, this campground is operated by the Eldorado Irrigation District so they do not honor Federal passes. We camped at Silver Lake West in a Motorhome. We stayed here on a Saturday and there was an equestrian event in progress. Several horse trailers and RVs in the campground but it was not crowded. Ground is a bit uneven and has some soft spots but there are numerous old cottonwoods to provide good shade. We arrived early and watched part of the competition. Nice to see such a well used and maintained facility. Note that the park does not take out of state checks. The dump station requires payment by credit card but it was not locked the day we were there. Significant road noise even on the weekend, but it was pretty quiet during the night. We camped at Fallon Churchill Fairgrounds in a Motorhome. Stopped at the very nice visitor center on the east side of Duchesne and the docent recommended site #12 at the Beach campground. She was right, nice shade and right on the lake. Not sure when I've spend a more pleasant afternoon. Lake was swimable but a bit cold in June. Some of the sites slope down toward the lake but we were able to get leveled up easily. There are rental boats and jetskies available at the launch ramp. 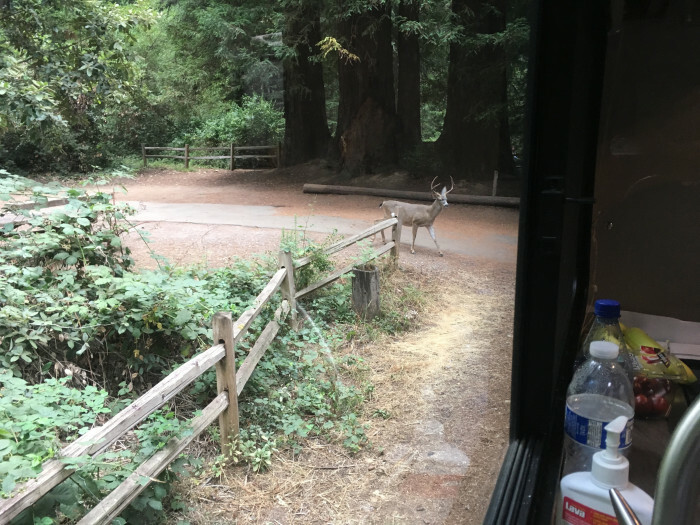 We camped at Starvation State Park (Mountain Vew Campground) in a Motorhome. Sites are close together but trees provide some privacy. This is a lovely place situated alongside an airport that caters to gliders. If you are lucky you can watch the glider activity or even take a ride. We camped at Mountain Valley RV Park in a Motorhome. Definitely rustic and not well suited to anything much over 30 ft. Electric only and the outlets are at the backs of the sites. Nice to be close to the river but the cabins occupy most of the river front. Dump station is on the wrong side and it is not easy to turn around within the campground. All that said, the setting is beautiful and the folks are friendly. The store's stock is not extensive by you won't starve if you get here with no food. The drive from here up to Foxpark and on to Steamboat Springs is lovely, but that's another story. We camped at Woods Landing Resort in a Motorhome. A very scenic campground along the Niobrara River at the base of a bluff. The sites for RVs are located up a berm from the road but the sites are huge and there are no trees to make things difficult. Its just a grassy field. The falls is a short, 1 mile walk from the campground and well worth the effort. Good tubing and canoeing in the summer. The entrance is from Hwy 12 over about 3 miles of good gravel road. The office sells snacks and a few camping/fishing items but no groceries. We camped at Smith Falls State Park in a Motorhome. Very nice quiet park not a long way from the Interstate. The campground itself is a ways from the lake facilities so you have to drive a ways to get there. It is a bit difficult to find and though I'd been here before it seemed like I must have gotten off the track before we got to the campground. There were only a few other sites occupied while we were there but lots of birds to watch and deer that came through in the evening. We will definitely stay here again when in the area. We camped at Longview Lake Campground in a Motorhome.